Eco South Tours Inc. was formed by the St Lucia National Trust to assist resource users in the south of the island to develop, package, market and sell tours within the Pointe Sable Environmental Protection Area (PSEPA) – the area in which The Reef Kite + Surf is located. The tour company was formed as a result of recommendations made in a socio-economic feasibility study for the area which recognised that human activity must be incorporated into any strategy, including protected areas, in order to conserve biodiversity. Revenue derived from Eco South Tours goes directly to the resource users to encourage the sustainable use of our natural resources. This tour takes you along a well-established trail through the largest area of mangrove forest on the island, onto a secluded stretch of white-sandy Atlantic beach. 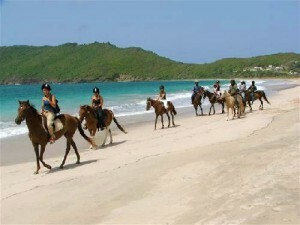 Experienced guides ensure that you have a memorable and safe experience. All safety gear including helmets included. The Mankote Mangrove is the largest mangrove forest on the island. It is a marine reserve and an internationally-reconised (RAMSAR convention) protected wetland site . The tour will fascinate bird lovers, and for the culturally-minded, local artisans will walk you through the traditional charcoal-making process in which they have sustainably harvesting the mangrove for generations. The twin Maria Islands were declared a nature reserve in 1982 in recognition of their special function as a wildlife habitat and their unique flora and fauna. 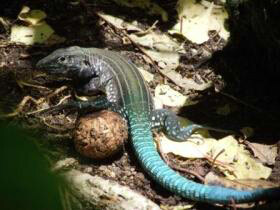 The reserve is managed by the St Lucia National Trust and is home to five endemic reptile species. Only the larger of the two islets – Maria Major – is open for visitation with guided tours permitted by the National Trust. This tour offers a half-day fishing experience going out with local fishers in their pirogues and participating in traditional forms of fishing including setting fish traps and angling. Upon return, you will be assisted in preparing your catch for the dinner table! Seamoss farmers cultivate an extremely nourishing form of seaweed on floating lines in the sea. This tour reveals the little-known process behind what is believed locally to be the ultimate aphrodisiac. Guests can assist the farmers in harvesting the crop, sampling the fortifying drink or just having a picnic and lazing on the beach.